The best thing about starting out early in the winter is that you can catch the Sunrise. 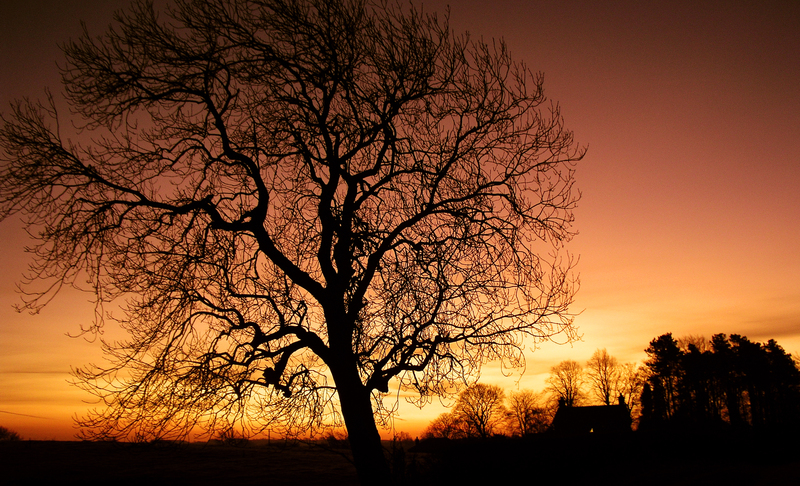 The sky was glowing by the time I was heading past Bishop Auckland on the way to my first planned outing of 2012. I arrived at the free carpark in Kirkby Stephen at 09:00 and into what looked like a scene from David Attenborough’s Frozen Planet. I geared up and found the news agent and stocked up on a couple of munchies and checked to map over for some vague idea of were I was heading. I’ve never ridden in this neck of the woods known as the Upper Eden Valley which is neither in the Yorkshire Dales National park or the Lake District but that space before the Howgill Fells just off the A66. So I figured it was long overdue. Of course this time of year one would be wise to choose a route that didn’t swallow you whole in a muddy quagmire but one that had plenty of stoney tracks. 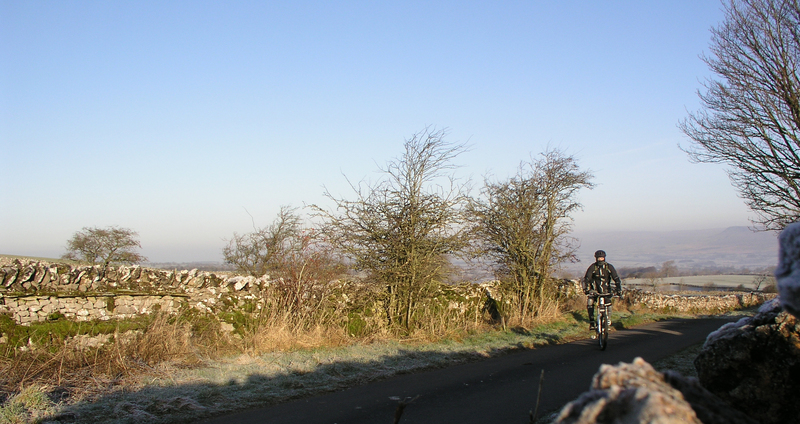 Setting off then away from Kirkby Stephen climbing towards Smardale in a -3° face biting temperature I donned a balaclava to block the chill. My fingers were numb before I even got going. I was wondering if I would get cold to the core or worse still trampled by Alaskan buffalo. The scene was quite spectacular though, like a Christmas card. 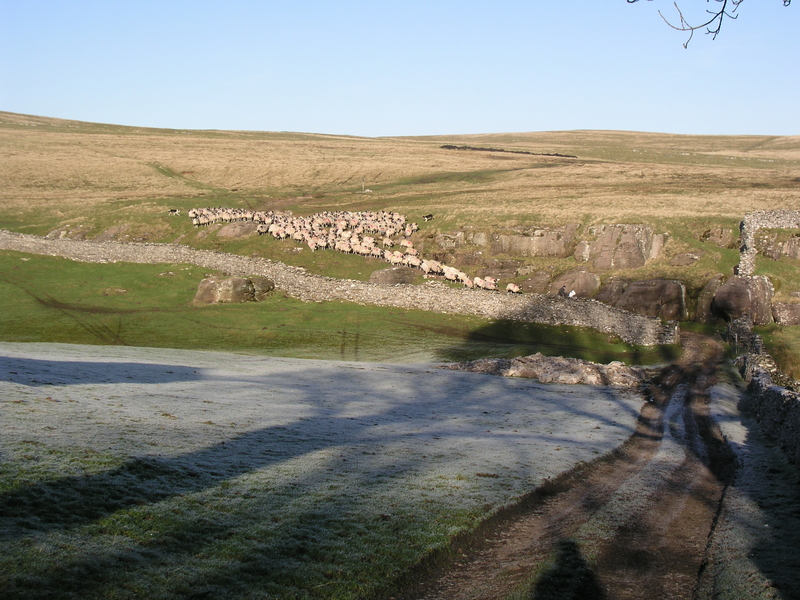 A robin perched in a frost covered bramble, and sheep being ushered across the field to pasture. Poor things, I hope they have gloves. But I was warming up as the climb stiffened past Waitby onto Smardale Fell offering up some fantastic panoramic views back towards the North York Dales, and over to the west the Howgills Fells. 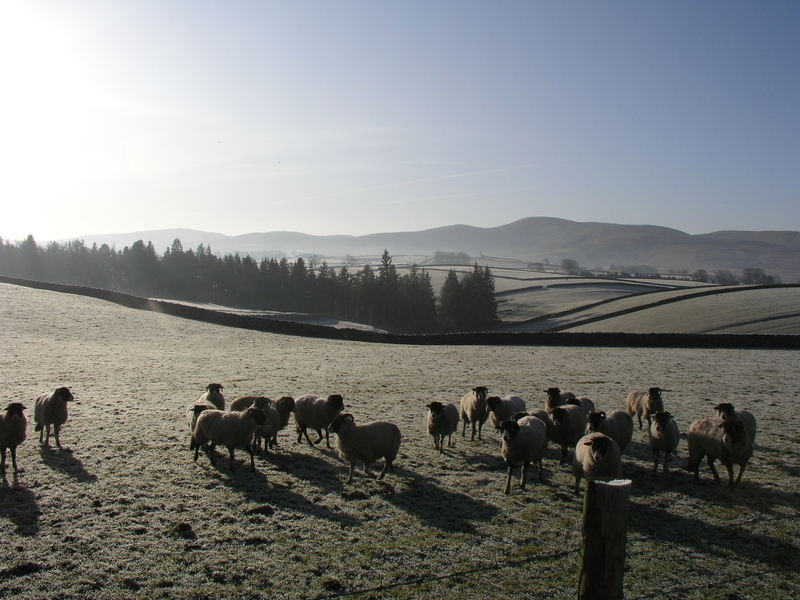 The Howgills are a very distinctive collection of hills immediately identifiable by their rounded layered appearance. Alfred Wainwright accurately described them as looking like a heard of sleeping elephants. Today they were lit perfect by the low winter sun and fronting a crisp blue sky. 'ave ye got owt t'eat? 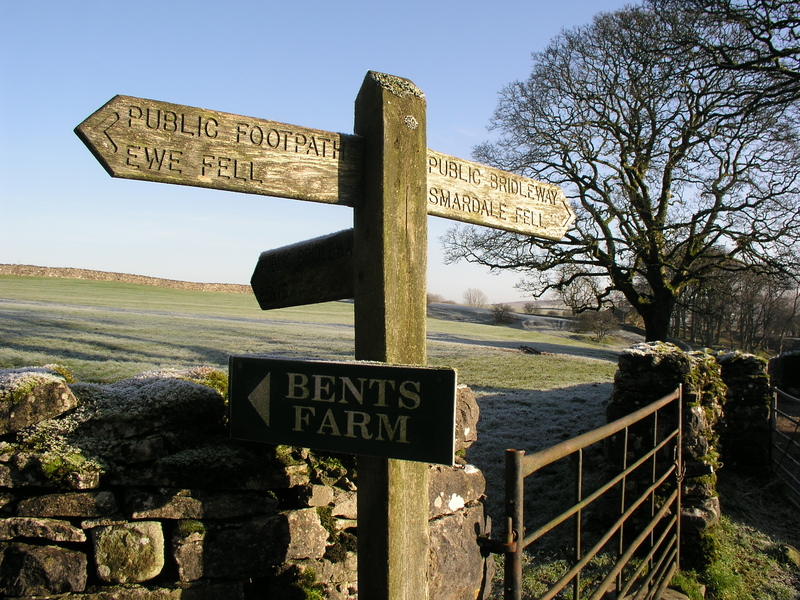 Click here: I dropped down using a choice of lines that crossed and joined again, rising and bending down to Smardale Bridge where I found signs of what was clearly a Limestone Plateaux shared with Scandal Beck flowing over it. From here on the tracks were hard from the stone and very dry, so a good choice of route for sure. Of course any grassy or bog sections were solid due to the subzero temperatures that even after about 8 miles there wasn’t a spit of mud to be seen on me or the bike. Bonus! This part of the route makes up the C2C. I was taking it only as far as Browber were I climbed again to Bent Hill but not before scoffing a refrigerated Snickers and mending a rear puncture. Normally this would have dampened the spirit but the sun shone so intensely it just made stopping for a bit a pleasure, a chance to take in the atmosphere . I remember thinking this is the most enjoyable winter ride and in terms of the conditions and quality of the trails, perfect. Just the kind of day I’ve been longing for. Passing through Bent Farm I was amused by the sheep being hearded into feed by the Farmer on his quad bike and two tireless black and white collies doing a stirling job of keeping them in a tight pack. Though at one point the farmer shouted some sheep dog type abuse at one who had what looked like it had deliberately left 2 sheep separated at the back of the pack. The dog ran back and got behind the two sheep and harrassed them up towards the farm with the rest. Once they were clear of the trail I cracked on climbing up to Bent Hill where I passed the farmers son giving it the beans on his quad bike, chucking in some jumps and doing doughnuts. He was having blast, you could tell. Must be great to have all that space to play on and an engine. I wanted a go! Click here: This descent was the second and last of the short ride into Crosby Garrett. Starting on a broad short grass track leading onto a fine stone double track that had some nice stone kickers and drops. 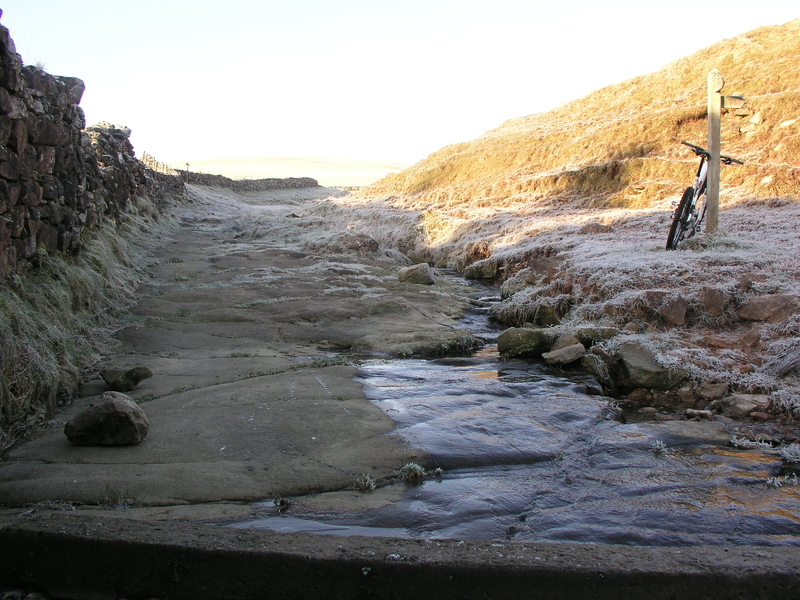 Hopping and skipping over the frozen puddles I swerved under the viaduct and into the small hamlet of Crosby Garrett to catch my breath and check the map. One last quick climb up to the church and pick up the return lane back down to Kirkby Stephen at around 12:30. This entry was posted in C.R.A.S.H. 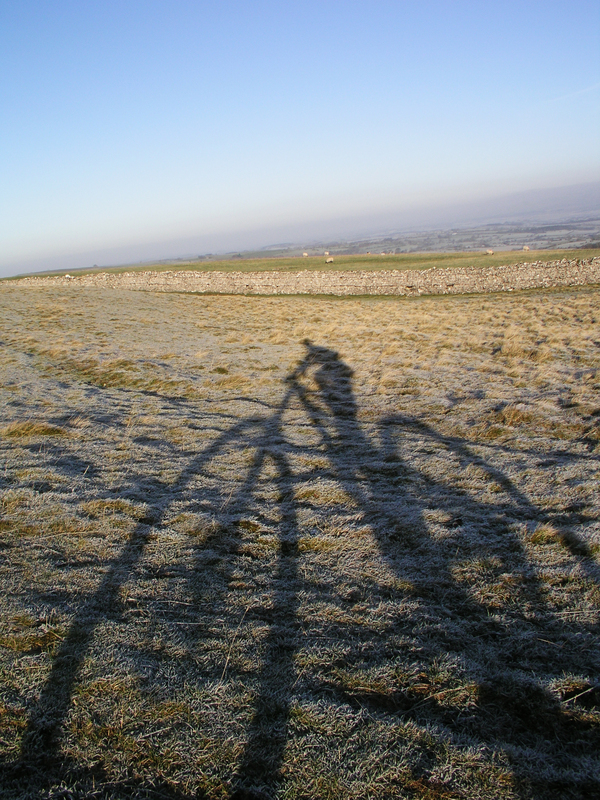 2012 and tagged Howgill Fells, MTB Rides, Upper Eden Valley by Oldromrider. Bookmark the permalink. Some excellent photography and what sounds like an exceptional ride, it makes me want to get out there right now! Minus the puncture repair ideally! 🙂 I’m loving these blog entries, long may they continue. Quite pleasant reading as I sit here with a Whittards hot chocolate with ginger, frost creeping across the ground outside. Thanks Whistler, it’s about time that Cannondale got a proper outing. I’m glad you like the blog, it’s a nice way to keep a record of the things we can get up to this year. I’ll continue to add previous adventures too as I go. So thanks for the encouragement, as long as you want to see blog entries then I’ll keep on posting. Love your taste in fine hot beverages young man, I’ve acquired a bit of a taste for Lapsang Souchong recently.Each to their own eh!